My absolute FAVORITE isn't really a find, but it was under $50 and so I wanted to share it :) Manda and her mom spoke at a women's event at our church last night and she ROCKED!!! Manda's testimony of putting "faith over fear" is inspiring and something everyone should here. If it becomes available to view online I'll make sure I post a link. Next up, Lord and Taylor is doing a big sale right now and all sale items are an additional 30% off with the code FRIENDS. I love Free People and love finding it at a great price! I typically wear a small in Free People, and find it to run pretty true to size (since most items are designed to be a little oversized, if you want a close fit you can order down a size... I like things a little bit oversized so I order my regular size). This shirt dress would be so cute with a denim jacket, scarf and booties. Originally it was $148 and now it's under $30. 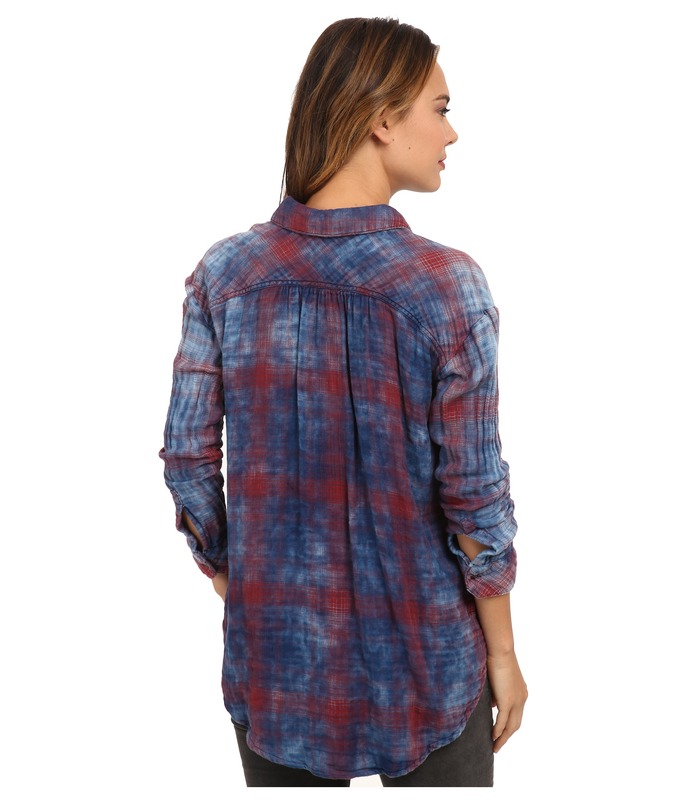 I think this plaid shirt is a fun twist on the fall staple. If you're needing a new chambray button down, the stitching and wash on this one is so cute. There were lots of other great deals, too - I highlighted just a few. Another one of my favorite finds under $50 is the Volcano scented candle from Capril Blu. I've switched out all the candles in my house for this scent and I can't get enough. It's clean-burning soy in recycled glass and the scent is amazing! The glass jars are so pretty and these would make great teacher gifts this Christmas. If you've read here for a while, you know how much Griffin love her Mini Melissa kitty shoes. There are several color/size combinations available HERE for under $40. I think that they run a little bit small and she can currently wear a 6 or a 7. Happy Monday, Friends!!! Tomorrow is recipe club and I can't wait to share some yummy Fall goodness with y'all! That meme. Oh my word. So funny!! Also, that plaid shirt is so cute!! Love! I need to try those candles asap!! Yes, ma'am!!! You'll LOVE them! Loving all of this...and the meme. It totally goes for third graders too. 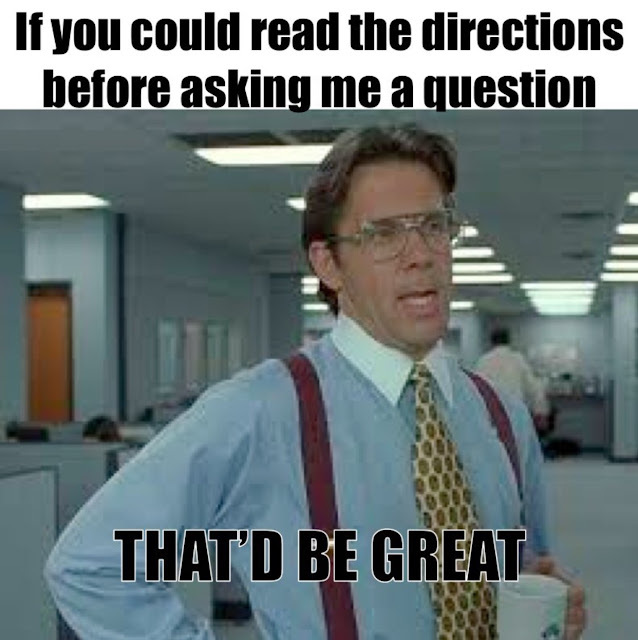 I tell mine at least 576 times a day, "Please let me say aaaaalllllllllllll of the directions before you raise your hand." The plaid shirt and chambray shirt are so fabulous! Love them both. And that candle from anthro and that scent is my absolute favorite. Once the candle is done I clean out the jar and use them ...the jars are so pretty!!!! funny that you shared that meme....my daughters teacher shared the same picture but it was in regards to writing names on papers! I just ordered that Chambray top as per your suggestion! 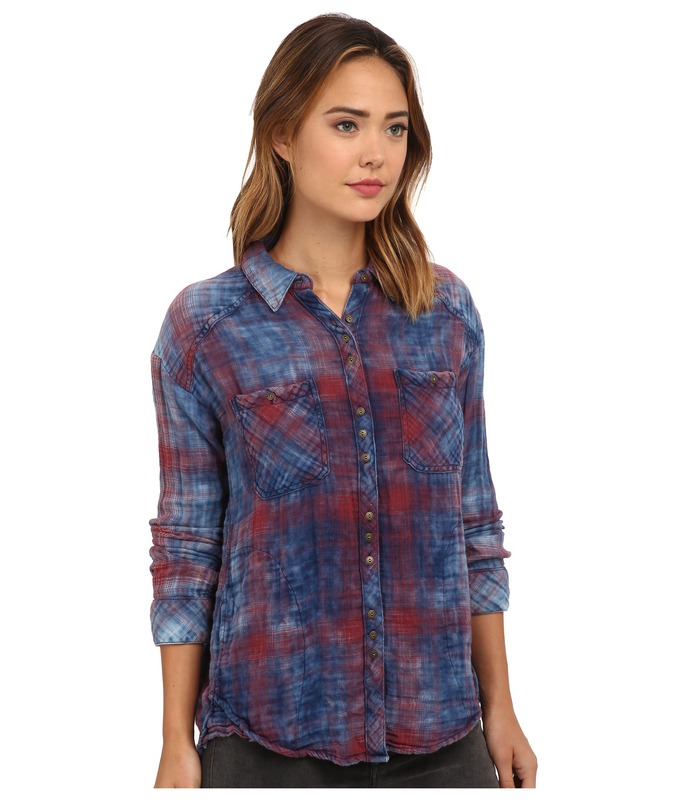 I also tacked on an awesome Lucky brand plaid shirt and Flowerbomb fragrance as all Beauty products are 10% off! Thanks again! Oooooh!!! Great picks! Let me know what you think when they come in! Those Volcano candles are amazing. I just got another for my birthday!!! I've heard that those volcano candles are incredible! They live up to the reputation! I love that you are such a supportive friend! I love that you say "true to size" rather than just listing your size. I love that you found things under 50$ for those on a smaller salary. I love your blog.